Germany plans to tighten sanctions on North Korea over its nuclear program in line with UN resolutions and EU laws. 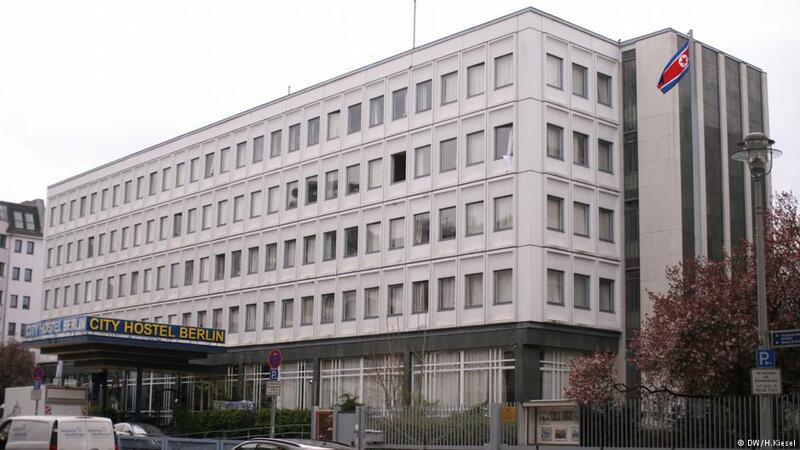 The North Korean embassy in Berlin will be banned from renting out its property to earn hard currency. In the center of Berlin, between the Brandenburg Gate and Checkpoint Charlie, North Korea is conducting business that helps fund Kim Jong Un's brutal regime and nuclear program. During the Cold War, North Korea had a sprawling diplomatic compound in East Germany represented by some 100 diplomats. Today, the isolated regime occupies the same property but only has about 10 diplomats. For nearly a decade North Korea has leased part of its unused property to City Hostel, a low budget travel option where dorm rooms go for as little as 17 euros ($18) a night. Another building on the property is leased out as an event hall. North Korea earns tens of thousands of euros in hard currency from the rentals every month. It is only part of the pariah state's use of diplomatic posts around the world to get around sanctions, run businesses and conduct clandestine, often illicit, activities to earn much needed hard currency. The money, according to experts, is used to buy restricted technology, luxury goods and finance diplomatic missions. 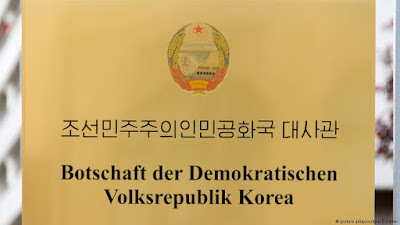 Germany now plans to ban North Korea from leasing the embassy property, Germany's Süddeutsche Zeitung newspaper and broadcasters NDR and WDR reported. "We must increase pressure to bring North Korea back to the negotiating table," said Foreign Ministry State Secretary Markus Ederer. "This means above all that we must consistently apply sanctions that the United Nations and European Union imposed." "In that regard, it is particularly important that we do even more to dry up the financial resources used to fund the nuclear program," he said. "The German government is in complete agreement and the responsible authorities will now take the necessary steps." 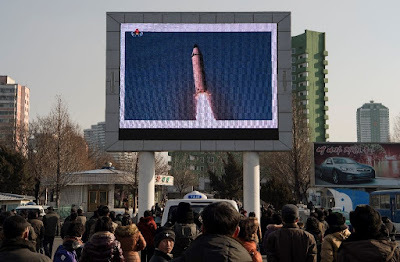 According to UN Security Council Resolution 2321 passed in November in response to Pyongyang's fifth nuclear test, countries shall prohibit North Korea "from using real property that it owns or leases in their territory for any purpose other than diplomatic or consular activities." Relations between North Korea and the rest of the international community have grown tense in recent months as Pyongyang conducts ballistic missile tests and threatens Japan, South Korea and the United States with a nuclear attack. The United States has said all options including military force are on the table to stop North Korea's nuclear program. It has also upped pressure on countries, especially China, to enforce UN resolutions and cut financial sources for the regime in North Korea. I want to give you proof yet again of something unusual and very telling of the way low vibration works. Within the first channel of the year , I spoke about the young North Korean leader. I'm going to do it again. I'm going to do it again as a profound example of how low consciousness cannot see above itself. That means that it can only work with what it sees and knows. As powerful, as smart, as intellectual as it thinks it is, it can't get out of its own circle. The former leader of North Korea was a classic egotist. When he died, his son took over and could do anything he wanted. This boy had watched his father for decades and knew he would take over someday. Naturally, he inherited the attributes his father taught him of self-importance, and he also became egotistically driven to the max. When he took power, he had the choice to make changes that would allow him to be even greater than his father. He wanted something that would elevate his name and his position to the highest egotistic place imaginable. His father was the model, and now he could do anything he wanted to be even more famous. What happened is classic. He completely missed the greatest opportunity that any man has had to become the most famous and beloved person on the earth. The idea never occurred to him. Even though he had been educated in the western world, he missed it. If he had considered the high road and included the earth instead of a restricted population of his own country, he could have been the most famous and beloved leader on Earth, all of his life. At the moment he took over, all he had to do was to think beyond his circle. He was in the unique position to be a "wild card" and do something amazing - unify North an South Korea, drop the zone of death that was between those countries, bring families together after generations, stop nuclear programs that he really never needed other than to look important and, thereby, give his people abundance, food for all and peace in his region. All of Korea would worship him and the earth would give a sigh of relief in thanks for his wisdom and courage. He would have received standing ovations upon entering the United Nations great room and they would bow before him and give him the highest peace prizes. He would have his ego stroked and stroked and stroked and stroked and be far greater than his father had ever been. But it never occurred to him. Instead, he perpetuated the dark box he inherited, and now he presides over the lowest energy possible, representing the most dangerous renegade energy on the planet. At the expense of keeping his people poor and impoverished and creating instability in his region, he gets to be a powerful and famous person for a moment in time from a small population. He will not last long. He can't see that what he is doing has no support within the majority of the planet's population, and he will lose everything. Isn't it interesting how strong the circle is that keeps a low vibration low. All of this is beginning to change, dear ones. If you examine individual people and the way they act, you're going to see this coming. You're going to recognize it. ..."
Now I'm going to be very cautious with number five, and I'm going to change a paradigm of the way we channel. For 23 years, we have given you information in the soup of potentials that we read around you as the highest probable potential that exists. These things eventually become your reality because they are your free choice, and we know what you're thinking. We know what the potentials are because we know what the biases are, and we see all of humanity as a whole. Potentials are energy, and it gives us the ability to project your future based on how you are working these potentials. We have done this for a long time. Twenty-three years ago, we told you about many things that were potentially going to happen, and now they are your reality. But now I'm going to depart from that scenario and I'm going to give you a potential on Earth that is not the strongest. I am going to tell you about a Human Being who has a choice. This potential is only about 50 percent. But I'm going to "read a potential" to you that you didn't expect. It's about a paradigm that is starting to shift. Let's talk about North Korea. There's a young, new leader there. The potential is that he will never, ever hear this channel, so I can talk freely about him. He is facing a dilemma, for he is young and he knows about the differences in the energy in his land. He feels it. The lineage of his departed father lies upon him and all that is around him expects him to be a clone of this lineage. He is expected to continue the things that he has been taught and make North Korea great. But he's starting to rethink them. Indeed, he wants to be a great leader, and to be heard and seen, and to make his mark on North Korea's history. His father showed him that this was very important. So he ponders a question: What makes a world leader great? Let's ask that question to someone in an older earth paradigm from not that long ago. He will be an expert and a successful one. So this is a valid exercise, asking someone from the past who knows. We will ask that question to a man who you know and whose name is Napoleon. For us, this was yesterday and some of you were there. If you asked Napoleon, "What makes a world leader great? ", he will say, "the size of the army, how much area can be efficiently conquered with a given amount of resources and men, how important the leader appears will then be based upon how many citizens call him emperor or king, the taxes he can impose, and how many fear him." Not only was that Napoleon's reality, but he was right for the energy he was part of at the time. So Napoleon went back and forth between world leader, general and prisoner. He accomplished almost everything he set out to do. His expertise was obvious, and you remember his name to this day. He was famous. What makes a world leader great? What I am showing you is the difference in thinking between then and now. There are some choices that this evolving young Human Being has that could change everything on the planet if he wanted. His father would tell this boy that what makes a world leader great is the potential of his missile power, or how close he can get to having a nuclear weapon, or how he stands up against the power of the West, or how he continues to aggravate and stir drama as a small country - getting noticed and being feared. His father would tell him that this is his lineage and that is what he's been told all his life. His father did it well and surrounded himself with advisors who he then passed on to his son. Now, there's a 50 percent chance of something happening here, but this is not a strong potential, dear ones. I'm bringing this forward so you can watch it work one way or the other. For if the son continues in his father's footsteps, he is doomed to failure. The energy on the earth will see it as old and he will be seen as a fool. If, however, he figures it out, he could be the most famous man on the planet... which is really what his father wanted. If Kryon were to advise this man, here's what I would tell him. He could be the greatest known leader the current world has ever known, for what he does now will be something the world will see as a demarcation point from the old ways. Not only that, but what he does now will be in the history books forever, and because of his youth, he has the potential to outlive every other leader on the planet! So he's going to have longer fame than anyone ever has. This will bring abundance to the North Korean people that they never expected! They will have great economic sustenance, schools, hospitals and more respect than ever for their amazing leader. The result would be fame and glory for the son, which the father had never achieved, something that the world would talk about for hundreds of years. It would cause a United Nations to stand and applaud as the son walked into the Grand Assembly. I would ask him, "Wouldn't you like that?" Doesn't this seem obvious to most of you? He could achieve instant fame and be seen as the one who made the difference and started something amazing. But watch him. He has a choice, but it's not simple. He still has his father's advisors, but one of which he's already dismissed. He may get it, or he may not. There is a 50 percent chance. But I'll tell you that if he doesn't do it, the one after him will. Because it is so obvious. We show you this to tell you that this is the evolvement of the Human species. It is the slow realization that putting things together is the answer to all things, instead of separating them or conquering them. Those who start promoting compromise and begin to create these energies that never were here before will be the ones you're going to remember. Dear ones, it's going to happen in leadership and politics and in business. It's a new paradigm...."